No fuss, no frill – just good quality food, fast and cheap. It’s hard to find a place that checks all the boxes, but we have managed to find it for you. And although the pizza and salads are delish, the knockout is the fried chicken (everyone needs this is their life!). 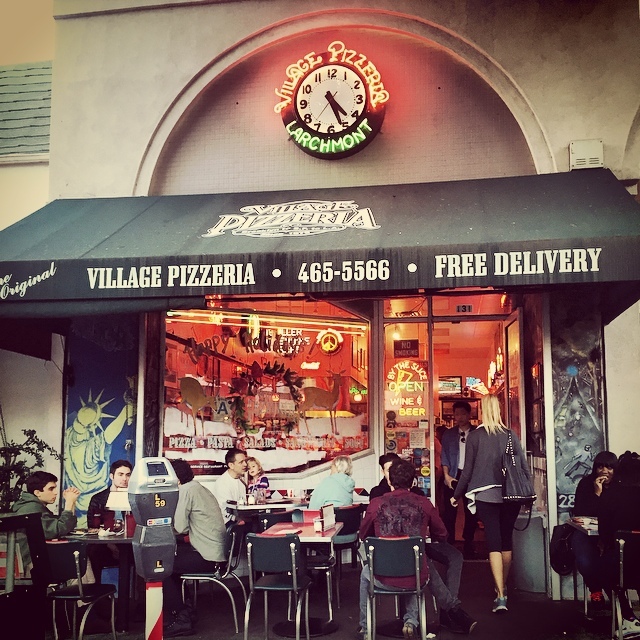 They also have a reverse happy nightly from 9PM-close, because sometimes, late night pizza is the answer. Create your own pie with UNLIMITED toppings for one great price that’s ready in 10 minutes… and it’s delicious… you don’t have to pull our arm. 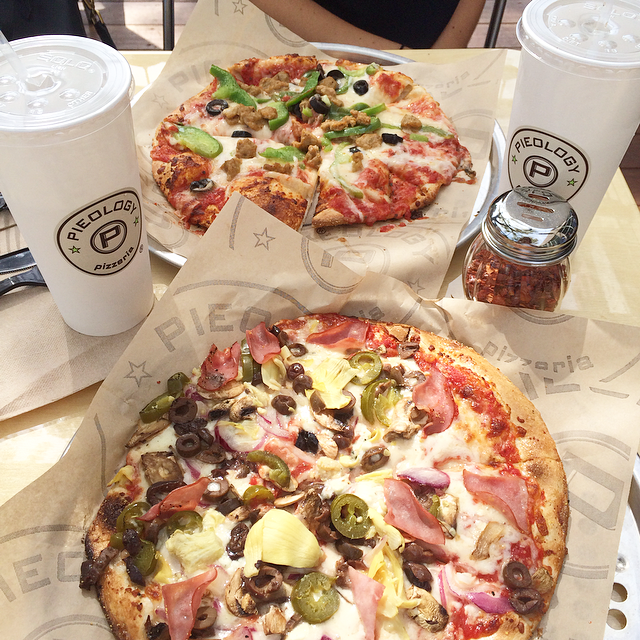 Pieology lets you be the Chef De Cuisine and with so many choices you can create something new each and every time. A yummy personal pizza with a drink all under $12; no brainer, this has definitely made it on the lunch rotation. One slice of heaven coming right up. Craving a no nonsense, simply crispy and cheesy pie? You’ve met your match. That any-way-you-like it, made to order pizza by the slice with a side salad and you’ve got yourself the perfect cheap yet delicious meal. Places like this are hard to find on this coast. Pingback: QUICKIE: PIEOLOGY | eat.drink.dish.repeat.